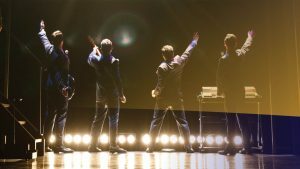 Go behind the music and inside the story of Frankie Valli and The Four Seasons in the Tony Award-winning true-life musical phenomenon "Jersey Boys." From the streets of New Jersey to the Rock and Roll Hall of Fame, this is the musical that’s just too good to be true. For more details, visit www.waltonartscenter.org. 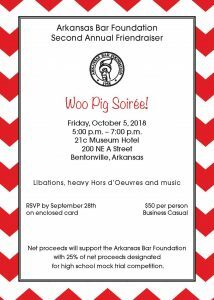 The Arkansas Bar Foundation will host a friendraiser event called Woo Pig Soiree! on Oct. 5 at 21c Museum Hotel in Bentonville. The evening will include libations, heavy hors d'oeuvres and music. 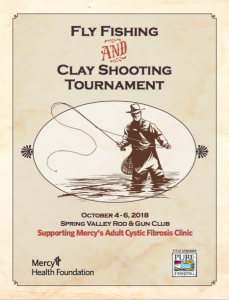 Twenty-five percent of the proceeds from the event will go toward the high school mock trial competitions. For more details, visit www.facebook.com/arkansasbarfoundation/.